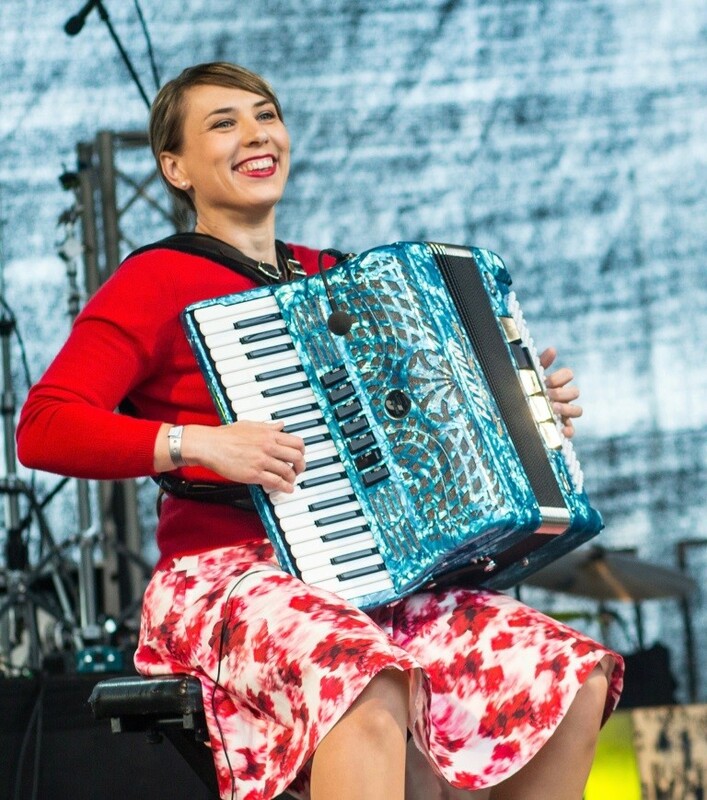 The multifaceted Estonian accordionist and music teacher, Tuulikki Bartosik, debuted her first album “Storied Sounds” at the recent Tallinn Music Week. The album is a collection of tunes written and recorded over many years and compiled into one album. Bartosik’s classical and theoretical studies, with a master’s degree in traditional music from the Sibelius Academy in Helsinki, have ignited her curiosity to learn what traditional music could be in today’s urban settings and changing world – she melts the traditions of Estonia with Scandinavian old instrumental tradition and was first in Estonia to adapt traditional music to the free-bass accordion. 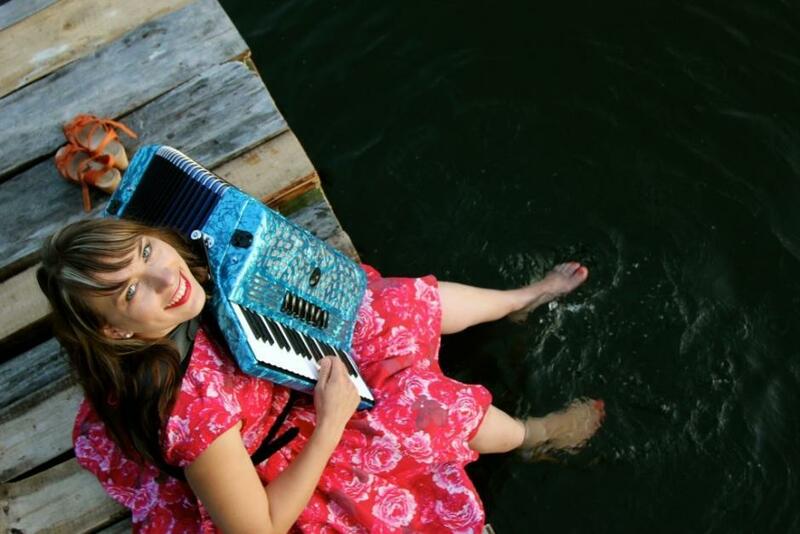 For Bartosik, her accordion has always been a tool to express her voice trough music. Freedom and nature are very important to her and large open spaces in northern Estonia or the woods and bogs in Võrumaa in the southeast of Estonia inspire her music. 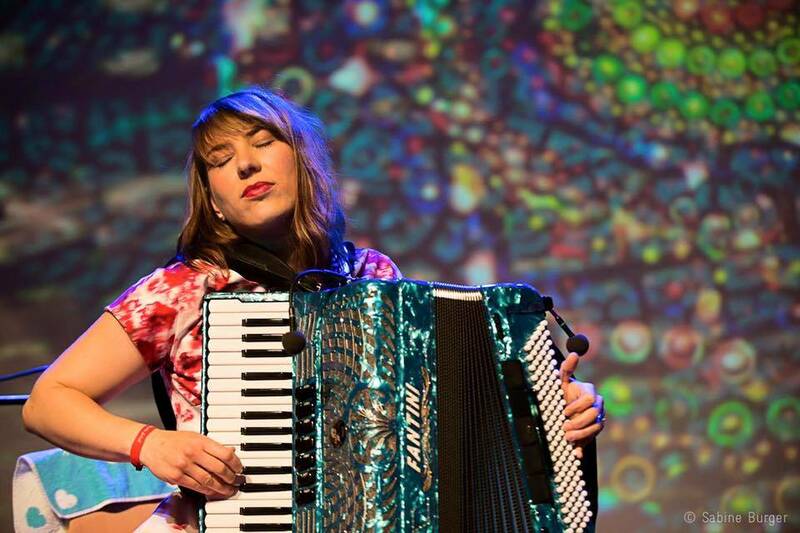 Duoalbum Chatterbox (RBRCD25) with English accordionist, singer and dancer Hannah James entered the Telegraph’s best folk and traditional music albums chart in 2015 and earned splendid reviews internationally. Bartosik also works with Estonian singer-songwriter Mari Kalkun and multi-instrumentalist Pastacas and their collaboration will soon be available on an album released in Japan, called “Upa-upa ubinakõnõ”. 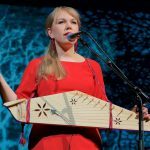 Bartosik’s first solo album, called “Storied Sounds”, is released this month under the UK label RootBeat Records, featuring newly-written solo pieces as well as duos and trios with Finnish piano player and composer Timo Alakotila, Estonian mandolin player Villu Talsi and Welsh guitarist Dylan Fowler. “I believe that if you are doing things that are in balance with your inner self, then suddenly you attract people with positive energies and everything moves in the direction which it should and is necessary. I like to get absorbed in things, to explore where something has found its beginning and how it has developed,” Bartosik says about her mantra. Estonian World caught up with Bartosik to find out more. Last year you released two compilations – one in England with Hannah James (Chatterbox) and the second in Estonia with Mari Kalkun and Pastacas (Upa-Upa Ubinakõnõ). With its unique sound, both albums have won the attention of widespread audiences and have gotten many positive reviews. Where to next? What are you working on today? Up until now, Hannah James and I have toured in England, with only positive feedback from the audience. I’m very happy to have the chance to work together with such a wonderful musician. We have discussed the possibility of making a new album where the roots of Estonian music take more of a spotlight and where we hope to find an intersection between Finno-Ugric and the Celtic culture in our duo. Upa-Upa was completed about the same time as Chatterbox, but the recording took place in Finland. 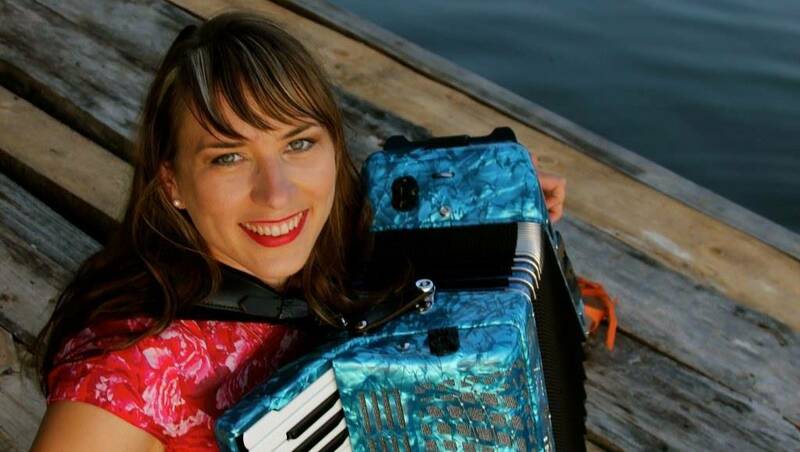 On this record, I play the accordion as well as the melodica, percussions, and the metallophone abs sing also in my childhood language – Võru language. At this time, we’re looking forward to finding out how the release of our album in Japan will go. The Võru Institute has been a wonderful partner and I hope that our fruitful collaboration will continue in the future because for me it is essential to be able to contribute to the preservation of Võru language and culture. Playing together with me on the album are my good friends in life and music – Villu Talsi from Estonia and Timo Alakotila from Finland. On two songs, guitarist Dylan Fowler from Wales, whom I’ve met through Chatterbox, is also playing. We look forward to the album release concerts in the upcoming year. I’m extremely glad to have the opportunity to work with RootBeat Records – a growing independent record label that released my album and supports me in the work I do. The plan is to write the sheet music for some of the tunes on the solo album and to create two different arrangements of each tune; for stradella and free-bass accordion. This is especially meant for young accordionists to gain inspiration. 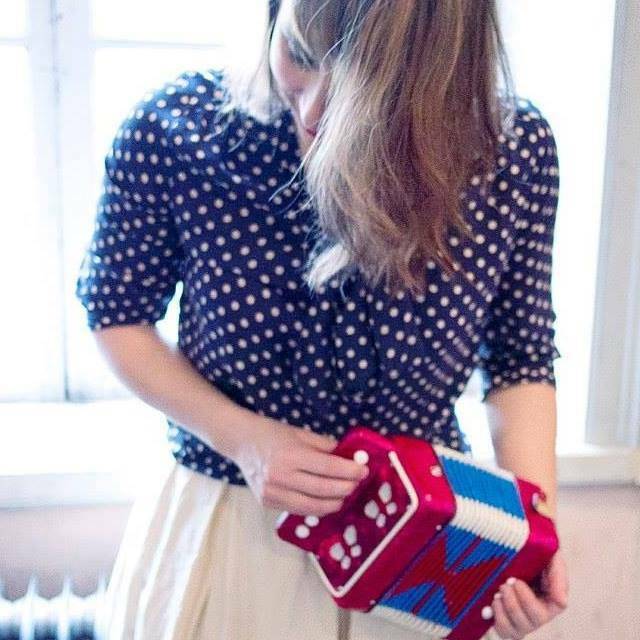 The accordion is an instrument with a wide range of interpretation possibilities and it would be great if young people started writing their tunes directly for the accordion to help create more original repertoires. I am waiting with anticipation for upcoming projects in June at the Mooste Külalisstuudio residency in Estonia, especially the project called Omega 3, which is happening at the old but active linseed oil factory. A Canadian electroacoustic composer Vanessa Massera and I are making music together. Vanessa with his sound bank and electronics and me playing on my accordion; we draw inspiration from our environment and the passing moments. You work as a musician and as a music teacher in many countries at once; in Estonia, Finland, Sweden as well as in England. Folk music associates with primarily conservative values, with one specific point of view: traditions and their continuation. Is it possible, and if so, how, is it possible to connect the local and global, and modern and folk music? What does this contribute to your music? The notion of heritage is connected with culture which is synonymously appointed as tradition. Both of those concepts are related to the continuation of different forms of culture from generation to generation. The concept of tradition can be regarded as wider than the concept of heritage, as for example it can be seen in Estonia and Finland that folk applies particularly to spiritual culture. Aspects which form heritage include the world of ideas, opinions, and all the consequent human action. It incorporates certain values ​​that are created by the previous generations, and which combine the modern with the past, connecting the people with their land. 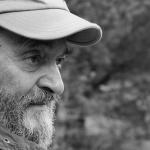 As Estonians we are looking in the legacy of our culture, something unique to indigenous peoples, something which we can act on today’s changing society, finding its own identity and its preservation. Estonians did not identify themselves as a nation until the 19th century, during which the nationalist movement emerged. In the past, Estonians called themselves the countryside/earth people, and that’s practically how it was, because just under 10% of the population lived in the cities. Since I’ve never lived consistently in the countryside, my ancestors from both my mother’s and father’s side have moved and travelled in many countries for over 100 years learning many languages. I actually feel the personal unfolding of history, seeing that the local and the global can be connected. Analysing my own family history, I’ve come to understand that my ability to speak five languages and three musical languages (Finnish, Swedish and Estonian) makes me a completely average member of my family. We already had four generations ago trilingual people who worked in different countries and experienced different cultures. From both my father’s and mother’s side, I’ve inherited the curiosity for the new and interesting and neither new languages nor new cultures have intimidated me. I’ve gone where my curiosity has taken me and that has developed me both as an individual and a musician. 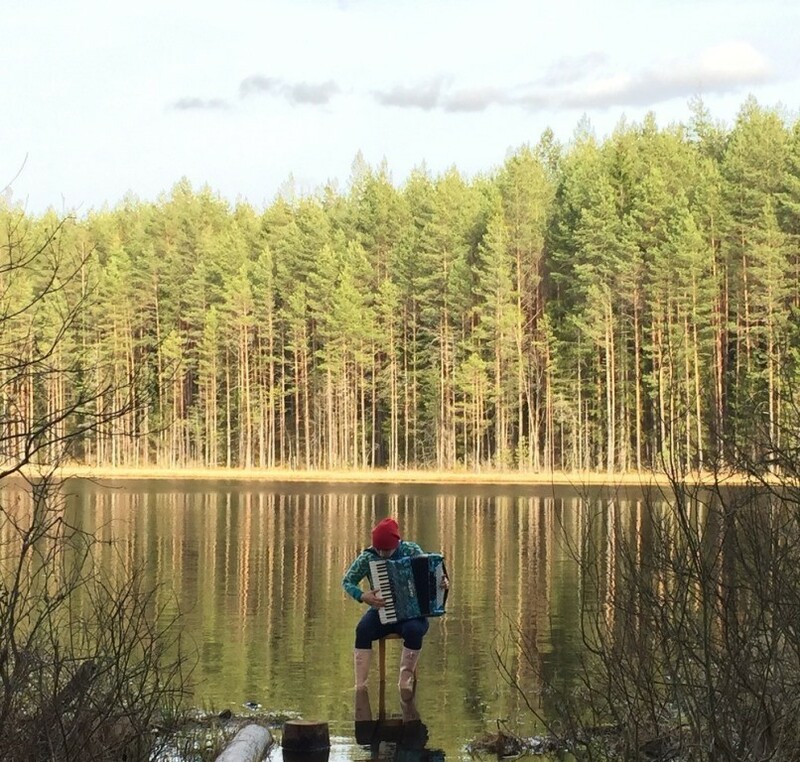 For this I have to mostly thank my Võrumaa roots because it was Võrumaa that has been a place for me that has provided a source of stability, where always the same lakes, forests and marshes await me. 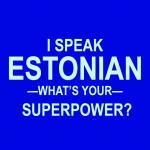 I feel that my roots are deep in Estonia’s soil and it gives me strength and opportunities for adventures elsewhere. My music is my emotional world of expression and reflection, and therefore just as eclectic as it is. Because I play primarily instrumental music, I have more freedom but am also limited compared to vocal musicians. From my music, my listeners hear exactly that which they wish to hear, because the text has not framed the melody in. My background and lifestyle gives my music diversity and spaciousness. Heritage cannot be learned, but music can be. I have my heritage, which is partially tied with permanent spaces, but also very much with the places in the world where my ancestors have travelled in the past or live currently. Every person has their own legacy which no one can take away from them. Every person in this world is a unique example of this. I look forward to the time when I can be a part of Rõuge heritage, to live yourself into it and start noticing how the traditions I brought integrate into the local music and in what way it makes the local traditions and heritage richer. I believe that no culture can be isolated for the sake of retention. Traveling around the world and longing for meeting musicians and playing together makes me feel a part of the world. I notice the music that comes from somewhere from the community; music which is spread orally, replicated, which lives actively today but which has its roots deep in its soil. I am curious and always check out all sort of background information, trying to meet local tradition carriers if it´s possible. The scheme is always similar everywhere, there are people who occupy the same place and there are travellers, but each person is rooted in their own heritage. I would call myself foremost a musician whose interest lies in the long tradition of the folk heritage. If you are clear about your identity, it is easier to get in contact with other people through music or other disciplines. I’ve used music to communicate with people from different cultures to understand the people; and this has worked well so far. For example, in English music I hear factories, the sea, mountains, sheep, five o’clock tea, stone houses and green slopes; these stories tell me of the country and their people, just as Estonian songs tell stories about Estonia and the Estonian people. Traveling around a lot, I begin to understand what the feelings of tradition in both music and in behaviour are. The more I deal with traditional culture and traditional music, the more clearly I understand those characteristics regardless of which country I currently am in. In Estonia, traditional music is very popular and folk musicians have quite an established place in the culture. How is Estonian musician and Estonian musicians accepted in other countries? What is your experience? I represented my music foremost as my own, not as Estonian folk music. I tie this together with different stories and facts during my concert. Usually I talk about different countries and compare them to one another. I’ve gotten the impression that people honour and admire my knowledge and background and my thick Estonian roots which I carry and represent with pride. Incidentally it happened once during a concert in England that I suddenly started feeling insecure about my Estonian identity. The audience didn’t know much about Estonia and as a result I felt a lot of pressure to find the best way to explain to them about Estonia; what it is and where it is located. 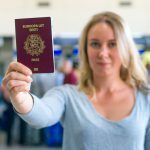 At that point I didn’t feel very well; I felt small – and thought, what do I actually have to show to people in this country that is big compared to Estonia? This feeling however passed very quickly once I began playing music. During the Tallinn Music Week Festival you introduced your new solo album, “Storied Sounds”, on two stages and in two different groups of band members. For the introduction of your album you have said: ”My music follows me and I follow my music, and it is never obvious how I sound before I have heard myself playing. I never underestimate a sound in the very moment.” How do you prepare for your concerts? I spent the whole of February working on my album to get it prepared for the TMW. Most of the time I spent in Sweden, the mixers and designers were in Estonia at the same time, the mastering engineer was in Finland and the record label was in England. I kept in touch in four different languages and tried to understand how to manage these things successfully through the internet. The making of this album has arguably been the most complicated. This is my story in music and I want it to sound as truthful and accurate as possible on the album. I enjoy most the music which I make here and now-something which would surprise even myself – and it is very difficult to represent the emotions as vividly on a record album. In this complicated process I have a very good team which knows how to understand and support me. Since I’ve added to the album themes located based on nature and recorded parts of the material in open air, certain aspects of the album are impossible to be performed on stage. We usually let the moment of performance to surprise ourselves. Evelin Tamm is an Estonian artist, activist and freelance journalist living in Sweden. Her work is a colourful collage of creative actions online and in real life including painting, digital art, filming, poetry, women´s rights actions, collecting and sharing feminist history and stories, environmental thought, alternative education in practice and theory.